Cat Zingano vs. Ketlen Vieira: Will Zingano's highly anticipated return be spoiled at the hands of an undefeated prospect? Cat Zingano vs. Ketlen Vieira: Will Zingano’s highly anticipated return be spoiled at the hands of an undefeated prospect? 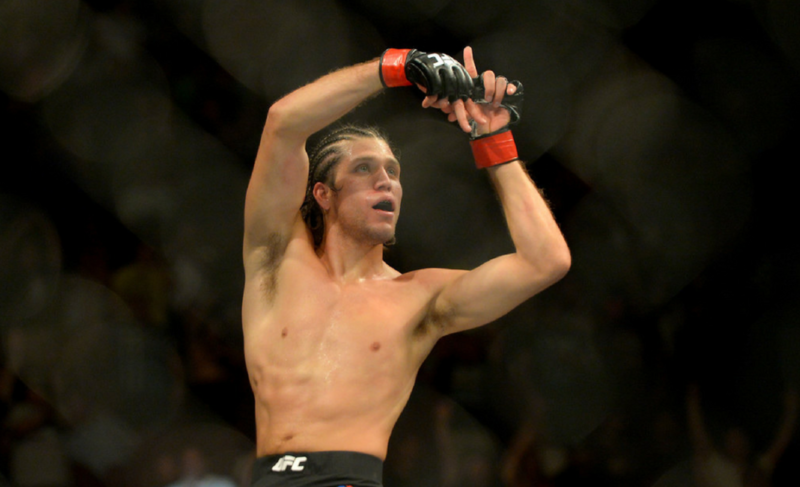 Is Brian Ortega championship caliber? The historic UFC 200 event in July 2016 marked the last time that former title challenger Cat Zingano (9-2) stepped foot inside the octagon. At the time, Zingano had not competed since her undefeated streak was broken at the hands of Ronda Rousey at UFC 184. 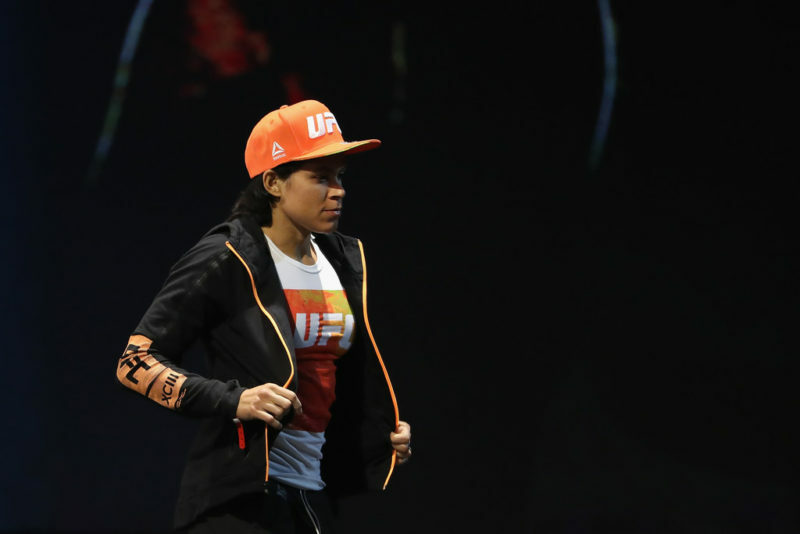 Many fans and experts alike were expecting the rejuvenated fighter to climb back into world title contention as she faced Julianna Pena on the monumental event’s undercard in a matchup between two of the 135-pound division’s very best grapplers and overall competitors. However, Zingano came up on short on the night, and was defeated by way of a unanimous 29-28 decision at the hands of the “Venezuelan Vixon”. 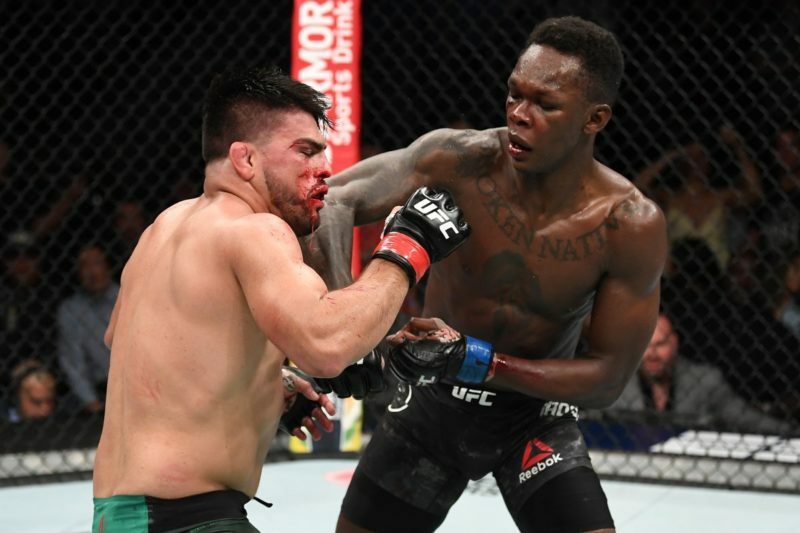 The loss was a huge setback for Zingano, who immediately set about healing a series of injuries that have kept her out of action since her bout with Pena in 2016. The American, who scored the first knockout victory in the history of the UFC women’s bantamweight division, has been vocal on social media during her absence from the sport, where she keeps her legion of fans updated on her rigorous training ahead of her UFC 222 showdown with Ketlen Vieira this Saturday at the T-Mobile Arena in Las Vegas, Nevada. Cat has worked consistently towards her aim of a highly successful return to MMA, where she vows to become a world champion inside the octagon. It appears that Zingano has her sights set on a rematch with bantamweight champion Amanda Nunes, who she defeated at UFC 178 in ferocious fashion, although there are numerous options on the table for the returning contender. 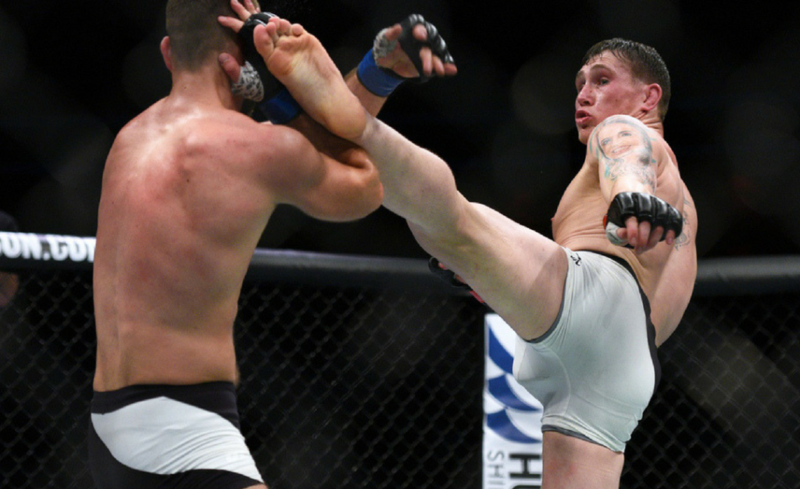 She is a former Ring of Fire and Fight to Win flyweight champion, and it is unclear whether she would consider a move back to the 125-pound division where she found so much success in the past. 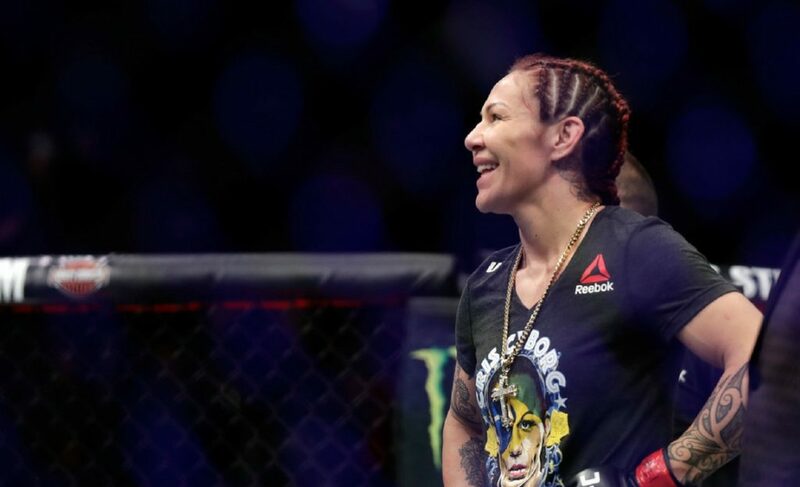 The Alliance MMA member has also flirted with the idea of a featherweight battle against unstoppable champion Cris Cyborg. 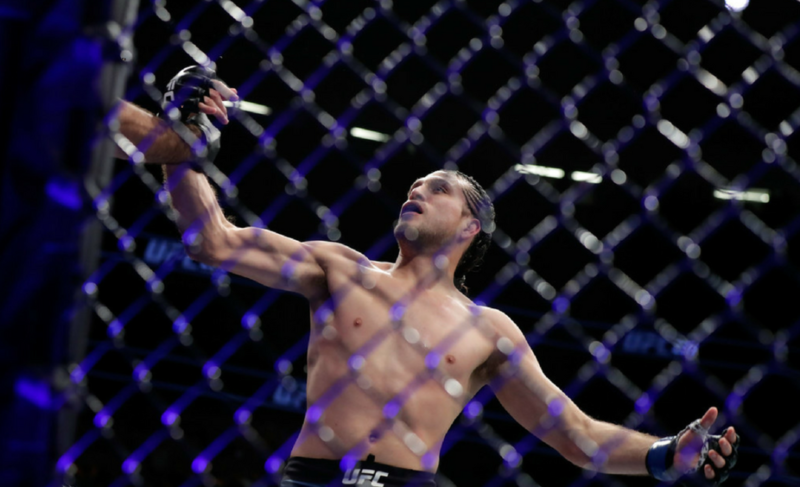 What we know at present is that Zingano is soon to enter the octagon door once again, and she is certain to unveil a host of new skills and weapons on this weekend’s stacked card in Las Vegas. Despite her lengthy break from competition, Zingano has not been granted the privilege of a tune-up fight. 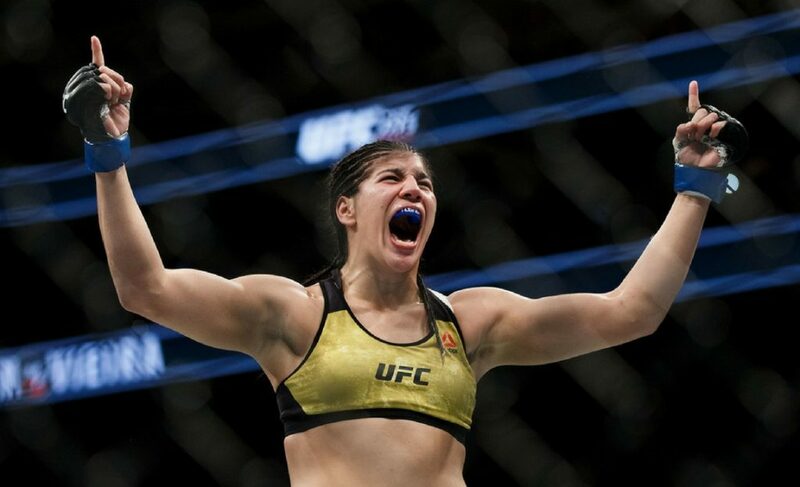 The challenge that lays ahead of her comes in the form of Ketlen Vieira, an undefeated grappling ace with six stoppage wins in her nine career fights. 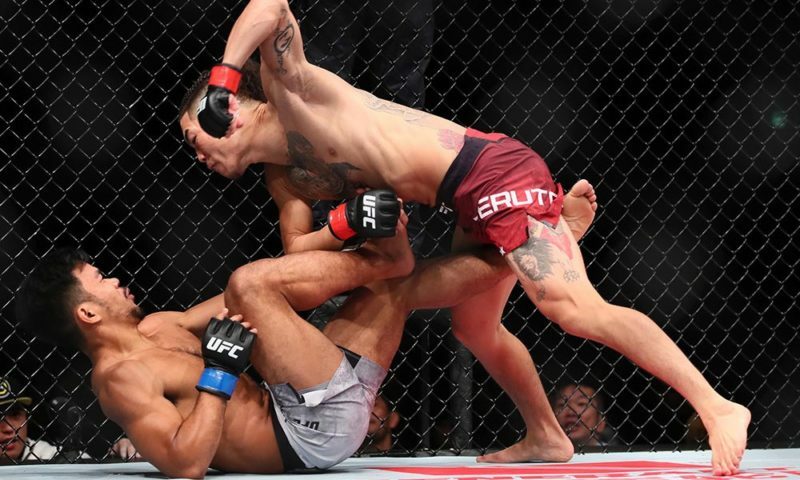 The Brazilian joined the ranks of the UFC in October 2016, and has fought on three occasions since. This activity will give her a huge advantage over Zingano, who is likely to experience some ring rust early on in the bout (although with a certain teammate named Dominick Cruz, “Alpha” Cat will have every shred of knowledge on how to avoid it). At just 26-years old, the Manaus native is ranked #5 in her weight class, and holds black belts in both Brazilian Jiu-Jitsu and judo. 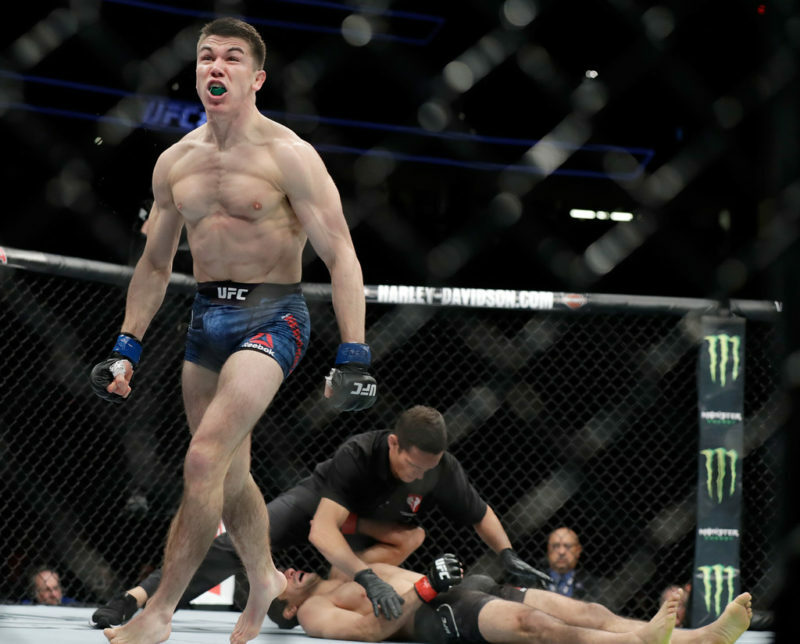 Her most recent outing against the former Olympic freestyle wrestling silver medalist Sara McMann put these sharpened talents on display and proved exactly why Vieira is such a dangerous and highly touted prospect in the bantamweight division. Clearly not intimidated by the vastly experienced and powerful McMann, Vieira showcased stellar wrestling ability of her own as she forced the former Olympian to struggle for an early takedown, before stuffing her opponent’s attempts to take the fight to the ground in the second round and succeeding to do so in her own right. Once on the mat, Vieira announced her arrival in the top #10 of the division with a well-worked arm-triangle choke that left McMann with no choice but to tap out. Her offensive skills on the ground are dangerous for anyone she faces, and the Brazilian is climbing the ranks in rapid fashion. A win over Zingano would put her in the same category as the very best the division has to offer, but can the youngster pull off such an upset? One must wonder how Zingano will fair in the grappling exchanges with Vieira. Despite the Brazilian’s lethal ground game, Cat brings an extensive grappling background of her own into the fight. She was an accomplished college wrestler and is known for her incredible strength in the clinch. The 35-year-old has a purple belt in Brazilian Jiu-Jitsu, the sport she discovered in 2007 and swiftly became endeared to. With three submission wins to her name, including a rear-naked-choke triumph over Raquel Pennington, Zingano can certainly hold her own on the mat. However, it may not be wise for her to force this grappling acumen on her opponent this weekend. 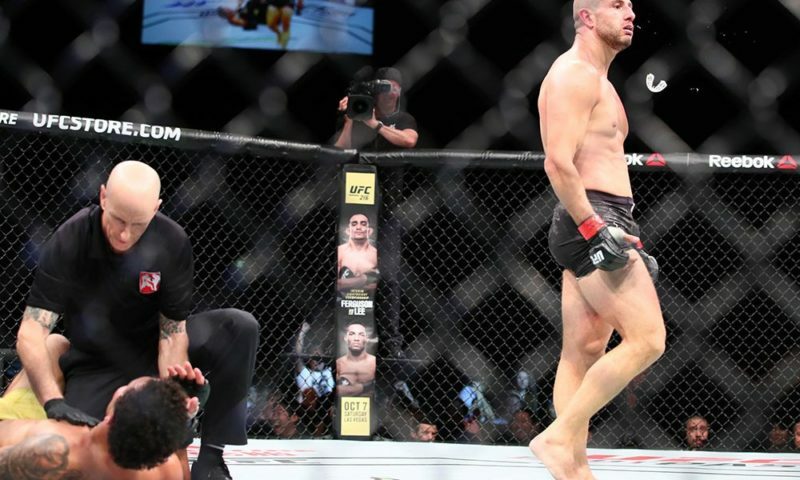 As we know, the undefeated Vieira is a tricky competitor from both the bottom and top position on the ground. It would benefit the young prospect for the fight to reach the canvas, where she could put her most dominant skills to use. On the other hand, Zingano has proven herself to be a superior striker to Ketlen at close range, where she unleashes hellacious elbow and knee strikes on her opponents, helping her to gain five of her nine career wins by knockout. Although Vieira showed an improving, aggressive boxing game in her outing against Ashlee Evans-Smith, her power pails in comparison to the destruction of Cat Zingano, whose brutal stoppage of former bantamweight champion Miesha Tate at The Ultimate Fighter 17 Finale was evidence of her vicious striking skills and the ruthless aggression she carries through the cage door on each and every occasion. In my opinion, Cat must bring her Muay Thai experience in to play if she is to have a successful return on Saturday night. Vieira will be a handful on the feet, especially if she is given the opportunity to strike from her own range. 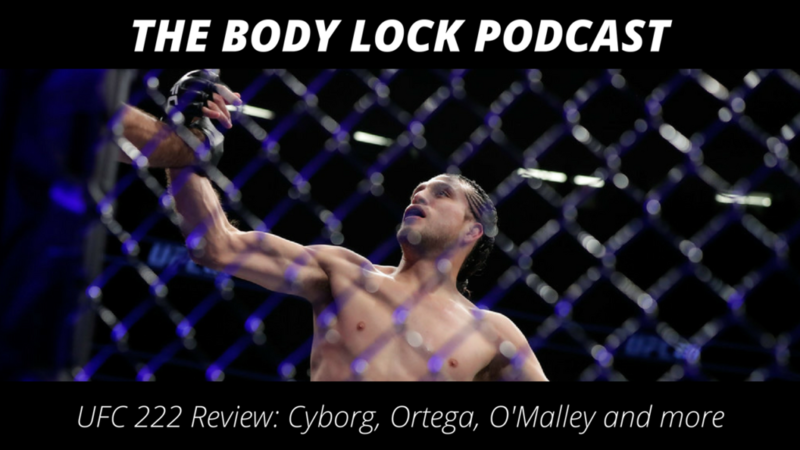 It is essential that the Brazilian stops Zingano from closing the distance, or she could fall victim to the returning contender’s ferocity in its highest fashion. However, if she steers clear of the former title challenger’s clinch, Vieira should have a striking advantage that could carry her to a win at UFC 222. Zingano’s ground-and-pound is equally as effective as her striking at close range. If you need evidence of this statement, look no further than Cat’s exhilarating contest with Amanda Nunes at UFC 178 in 2014, where the American weathered a heavy early storm before rallying a comeback against the current-day 135-pound women’s champion. From top position, “Alpha” Cat Zingano is capable of inflicting fight-ending damage, and if she succeeds in securing a takedown this weekend, I expect to see her search for the full mount. Vieira gave up said mount position against her last opponent in Sara McMann, but the ex-Olympian failed to capitalize and ended up missing out on a huge opportunity to either finish the bout or damage Ketlen to a large extent. I can not imagine Zingano squandering such a chance, so Vieira must be wary on the ground at all times, even if she is more than comfortable to fight from her back throughout the fight. Zingano’s keys to victory are to close the distance early and battle for a dominant position that she can use to land punishing offense on Vieira. She can not afford to find her back on the mat, and Cat should avoid getting into a standup battle at distance. But, as I will outline below, Zingano is being faced with a very difficult matchup stylistically, and Ketlen has many paths to victory in this fight. Can Vieira pull off the upset? With the betting lines close and the public’s predictions currently somewhat lopsided, I am of the opinion that Ketlen Vieira has the tools and the ability to defeat Cat Zingano at UFC 222. She matches up very well with Zingano – her judo skills can halt her opponent’s clinch attacks, throws, and trips, which are a huge part of Cat’s game. Her jiu-jitsu acumen allows her to attack from, and be comfortable in, all positions on the ground, a trait that will cause any fighter issues, and her striking will likely prove problematic for the 35-year-old Zingano. Although I believe Cat Zingano has every chance of winning, I simply do not know what to expect from her this weekend. I know exactly what she is capable of, but even in peak form, Vieira is a very tricky opponent for Cat and her fellow bantamweight contenders. Time away from the octagon will hurt Zingano’s chances, yet she may return with an entirely new arsenal and skill level that takes her opponents by storm. While I do think she will come back to the octagon as a more evolved and well-rounded fighter than before who will be an integral part of the weight class going forward, my pick for this Saturday’s main card opener is the young prospect Ketlen Viera.